Another preview shot of the upcoming Nike HTM Flyknit Chukka surfaced early today, showing the Hiroshi, Tinker and Mark-designed chukka in a blue and white "mixed yarn" colorway. 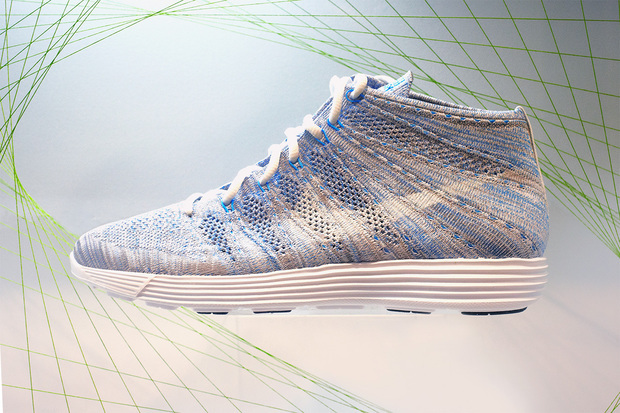 Thus far, every HTM Flyknit release has sold out in minutes (albeit, in highly limited and select releases). That trend is unlikely to change with the Flyknit Chukka, expected to release this holiday season. Stay tuned to Sole Collector for further release details.